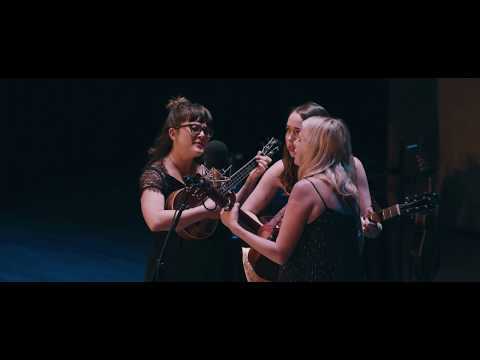 I’m With Her is Sara Watkins, Sarah Jarosz and Aoife O’Donovan. All three musicians had crossed paths many times in their careers, yet it was an impromptu performance at the 2014 Telluride Bluegrass Festival that sparked the formation of I’m With Her. The trio spent the Spring and Summer of 2015 touring the world garnering acclaim for their unique blend of instrumental interplay combined with their indelible harmonies “… that could be sweetly ethereal, or as tightly in tandem as country sibling teams like the Everly Brothers, or as hearty as mountain gospel.” The New York Times. More recently, the band released their first original song, “Little Lies,” on Rounder Records. As tightly in tandem as country sibling teams like the Everly Brothers, or as hearty as mountain gospel.